Although I'm a huge fan of Denzel Washington, the trailer for The Equalizer was exciting but felt slightly familiar and reminded me of some of his previous roles. However, any perceived familiarity didn't stop the masses from flocking to the theaters for the film's opening weekend. Variety reports The Equalizer made a $35 million debut, which means it is now ranked as the fourth biggest September debut ever. Per The Hollywood Reporter, the film also holds the post as "the top September opening for an R-rated movie." 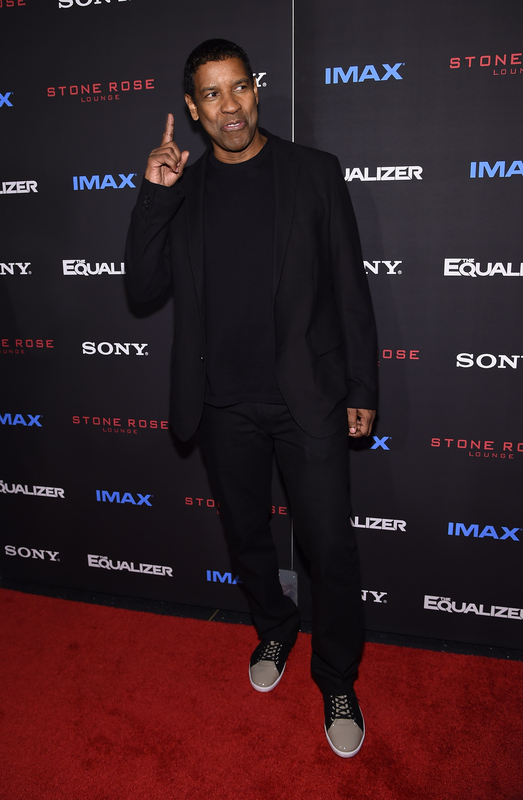 With the successful debut of The Equalizer, Washington also earned the third biggest opening of his career. The Equalizer is a film adaptation of the popular ‘80s TV series that starred Edward Woodward. Washington plays the role of a retired black ops commando who faked his death and settles down in Boston, vowing to leave his old ways behind for the ease of retired life. But a series of events leads him to decide, against his better judgment, to save a young prostitute from the grips of the Russian mafia. According to Rory Bruer, president of worldwide distribution for Sony pictures, the film's opening weekend success practically guarantees there will be a sequel, which was rumored before the first installment even hit theaters on Sept. 25. "From the beginning, as the story began to unfold, it had possible franchise written all over it,” Bruer said. Apparently, the winning formula involves Washington's collaboration with director Antoine Fuqua. The pair previously worked together on Training Day, the 2001 blockbuster film that famously earned Washington an Oscar for Best Actor in a Leading Role, due to his portrayal as grimy, ruthless police officer Alonzo Harris. Another part of The Equalizer's huge success can also be attributed to Eminem's Sia-assisted single Guts Over Fear, which experienced a ton of social media support.